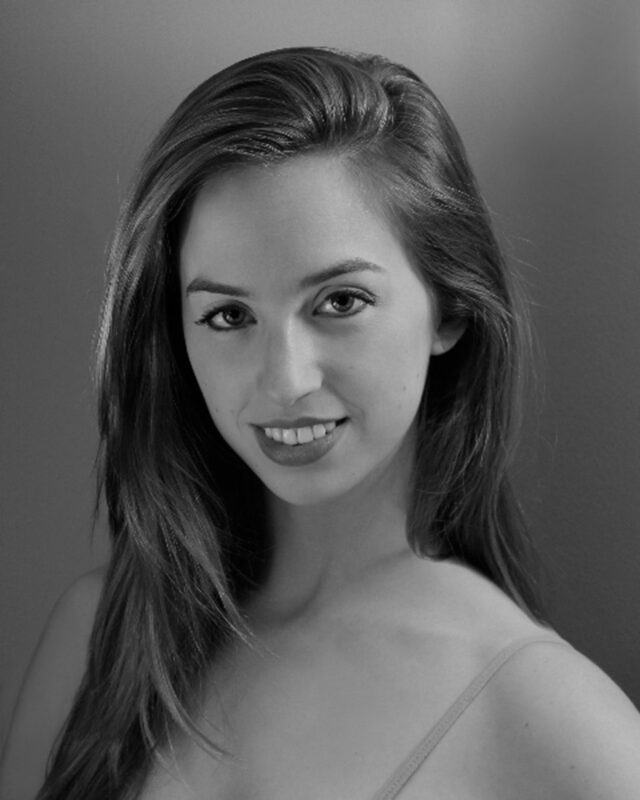 Born in Red Bank, New Jersey, Alexandra Basmagy began her ballet training at The Academy of Dance Arts under the direction of Jennifer James Church. There, she achieved the grades of Highly Commended and Honours in the Royal Academy of Dance examinations in Grade 4 through Advanced. In 2001, she continued her training at Studio Maestro, in New York City, with Francois Perron, Deborah Wingert, and Fabrice Herrault. In 2004, Basmagy was accepted into the Jacqueline Kennedy Onassis School at ABT under the direction of John Meehan. She continued her studies and graduated from JKO under the direction of Franco de Vita. During her training, Basmagy attended Summer Intensives at Pacific Northwest Ballet, San Francisco Ballet, and three consecutive summers at American Ballet Theatre in New York. In 2008, Basmagy joined as an inaugural member of Corella Ballet Castilla y Leon, in Segovia, Spain. Under the direction of Angel Corella, Basmagy performed Tall Pas d’Action and a Shade in Natalia Makarova’s La Bayadére, Pas de Trois and a Big Swan in Swan Lake, Stomper in Twyla Tharp’s In The Upper Room, Friend Variation in Marius Petipa’s Raymonda, Clark Tippet’s Bruch Violin Concerto, Christopher Wheeldon’s VIII and the 1st Principal Pas de Deux in DGV: Danse a Grand Vitesse. Basmagy joined the corps de ballet of American Ballet Theatre in October 2011. Her repertoire includes Lead Pirate Women in Le Corsaire, Bathilde in Giselle, Madame in Manon, Nanny, Sugar Plum Fairy, the Spanish Dance and one of the Nutcracker’s Sisters in Alexei Ratmansky’s The Nutcracker, Lady Capulet and a Harlot in Romeo and Juliet, Queen, the Countess and the Fairy Violente (Temperament) in Ratmansky’s The Sleeping Beauty, a big swan and Spanish Dance in Swan Lake and roles in AfterEffect and Songs of Bukovina. Ms. Basmagy’s performances with American Ballet Theatre are sponsored by The Mathey Family.